After graduating college I became a scale and Hanon exercise junkie. 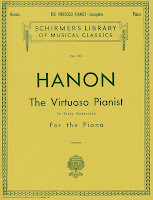 I usually spent 1-2 hours every single morning playing through my Hanon book. At one point, I had all the exercises memorized in ALL 12 keys! Becoming bored with the sameness of the Hanon exercises I decided to take on the Tristano method of scale practice. I spent a year playing scales at an ultra slow tempo (40-60) and then playing polyrhyhmic variations of each scale (3 against 2, 2 against 3, etc). After completing most of the Tristano method of scale practice I decided to replace my daily exercises with Bach etudes. Over the past year I've completed all 15 two-part Bach inventions and just finished learning my 10th three-part Sinfonia. The Bach pieces have greatly improved my technique and musicality but I'm left feeling a little sluggish after not practicing scales for a year. 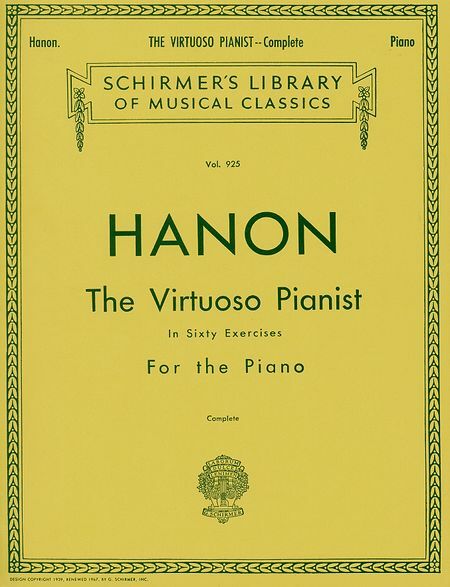 That is why I've decided to write some of my own "Hanon" exercises. These exercises are as technical as they are practical for the jazz musician. The goal for each exercise is to focus on an essential jazz improvisational element while improving speed and fluidity. I hope you enjoy these exercises and would love to see some videos of my viewers playing through them. Up first, 7th chord arpeggios through all the major scales.